Ageing is a natural fact of life that is not very well understood. It is a complex process of changes that begins from birth and continues until the end of one’s life. Many factors impact the ageing cycle. Genetics, diet, exercise, positive mental health and culture contribute to how rapidly human beings actually age. It is important that people learn to understand that ageing and old age is not synonymous with illness or dependence. 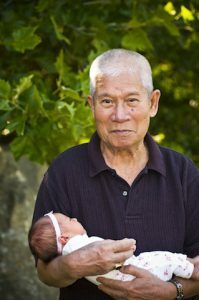 Grandparents, with their wealth of experience, are well-placed to help younger family members understand that the elderly are no different from them. They are individuals with distinct interests and share similar needs for companionship like everyone else. Yet not all elderly people are the same; some lead independent lives, while others may need more physical and mental help. Grandparents thus play an important role in helping children and teens to understand that ageing can be a healthy and graceful part of life. 1. How can grandparents help children and teens understand ageing? Grandparents have a deep impact on the values and beliefs that influence younger family members. They form an intergenerational bridge and often are the primary caregivers in families where both parents work. 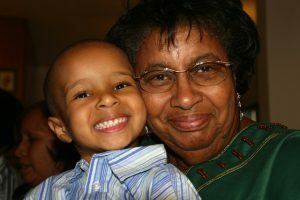 Grandparents play an important mentoring role to help children learn life skills and build self-esteem. Being a grandparent is an opportunity to share memories and life lessons with grandchildren. There are many ways that grandparents can help children understand that growing old is a natural process. Share photographs of you as a child, a teenager, an adult and as an older person and get your grandchild to talk about how they see themselves at each of these stages to help them visualise and understand that ageing happens to everyone. Show them that older people are not all the same and have hobbies like everyone else by asking them to list five people over 60 and identify their hobbies. Chances are there will be a range of interests among them. 2. What are some activities that grandparents help children and teens understand ageing? – Grow a plant together from seeds. This will help them understand the cycle of life. Crafty time – You can do paper origami, make puppets, jewellery or even colour together with your grandchildren. This is a great way to bond with your grandchildren and it breaks the age-divide. There are many of these activities available that are tailored specifically for the various ages. Holiday traditions – Get children involved in decorating the house for the festive season. As they help, explain to them why certain things are done so that they too can understand the richness of tradition. – Mail something the old-fashioned way. Children love receiving mail and you can send them teasers of activities that you will be doing together. It is also a fun way to talk about the past. Work those brains – Try a crossword or tangram puzzle (which consists of seven flat shapes) together. See who will be the fastest at solving them. Show them that age is not a handicap. For more ideas on activities that grandparents and children can do together and change mindsets about ageing, refer to: Council for the Third Age (www.c3a.org.sg), Grandparents.com (www.grandparents.com/grandkids/activities-games-and-crafts/100-things-to-do-with-your-grandchild-th) or Helpguide.org (www.helpguide.org/mental/grandparenting.htm). 3. What are some titles that children and teens can explore about ageing? Reading is a good entry point for grandparents to talk about with their grandchildren. Books package the complexity of growing old into meaningful narratives that children can connect with. Through such stories, children learn to realise that older adults are all different and understand that ageing is a natural part of life. Bobby loves to hear his grandfather Bob share the story of how Bobby learnt to walk. When Bob suffers a stroke, it becomes Bobby’s turn to help his grandfather walk again. A touching story of how a young child learns to see his grandfather beyond his illness. Little Badger can do many things – jump, climb trees, and roll down the hill – while Old Badger cannot do the same things. He then shares what he knows like how to catch fish from a stream. A story that celebrates how knowledge is passed on from one generation to the next. The story of a friendship between Mrs Katz, a widowed and lonely lady without children, and Larnel, her young African-American neighbour. When the kitten that Larnel gives her has kittens of its own, Mrs Katz finally has the opportunity to feel like a grandmother. Camille and her grandmother have a wonderful relationship but one day, her grandmother forgets her name. A sensitive story that introduces Alzheimer’s disease to young readers, showing them that, despite the disease, Camille is able to love her grandmother and help her maintain her dignity. Siamese cat Simon, who is getting in years, is deeply adored by his family. However, when a new kitten arrives, he finds new meaning in his life as he has to keep up with his young charge. An endearing story that will charm grandparents and children aged three to eight. Winner of the 2011 Association for Gerontology in Higher Education award for positive portrayals of older adults in Children’s Literature, this book is about a child’s experience of being cared for primarily by her grandparents. Wonderful watercolour illustrations bring this poignant story alive for pre-schoolers. Felicia Zhiran Chan is a librarian at the National Library Board.